Would you like to attent a toyism workshop? Business, private, on location or on a school? Inquire about the possibilities for a workshop led by a real toyist. You can register yourself or register with multiple persons. 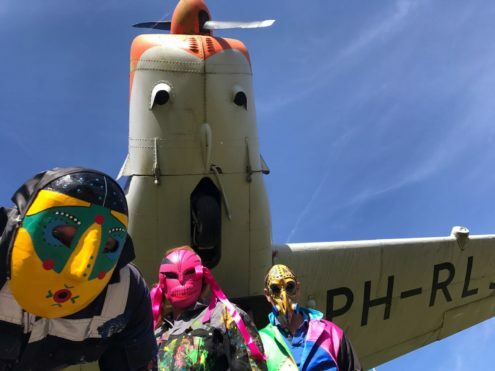 At the toyism studio at Eelde you will start the workshop with information about toyism art movement, then you will make your own toyism artwork or mask under the supervision of a toyist. Afterwards you can bring your artwork home. Suitable for adults and children. Workshops will only be pursued with a minimum of 6 people.